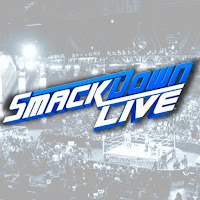 Tonight's WWE SmackDown, WWE Mixed Match Challenge and WWE 205 Live tapings will take place from the Staples Center in Los Angeles with fallout from Survivor Series. WWE has announced that WWE Champion Daniel Bryan will address his recent heel turn on tonight's show. There will also be a Thanksgiving Feast Fight with The New Day vs. SmackDown Tag Team Champions The Bar and Big Show. No matches have been announced for this week's 205 Live but tonight's MMC episode will feature Lana and Rusev vs. Carmella and R-Truth plus Bobby Roode and Natalya vs. Jinder Mahal and Alicia Fox. * How will Team Blue respond to being swept? * What's gotten into Charlotte Flair? * Can Shinsuke Nakamura bounce back from his loss to Seth Rollins?